Review Summary: DHARM is one of the finest films produced in India. A film that deserves to be seen by every lover of qualitative cinema. Very rarely does one come across a film that makes the other films look so trivial in comparison. 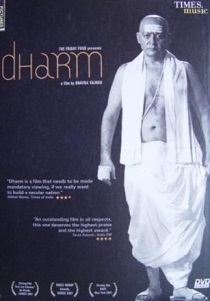 DHARM is one of the finest films produced in India. A film that deserves to be seen by every lover of qualitative cinema. It is a known fact that caste dominates the social spectrum of India.